Powerslide Jet Neon Pink skates are stretchable in a range of 3 sizes and feature a very simple set-up system - push the button to push the boot tip. <? xml: namespace prefix = "o" ns = "urn: schemas-microsoft-com: office: office" /> Skates are seated on a CNC extruded frame. The model drives the Hurricane with a hardness of 83A, the diameter of the wheels depends on the size of the skate. Powerslide Jet Neon Pink inline skates feature Wicked ABEC 7 bearings. They have a solid steel cage and 7 steel balls that are perfectly matched to ensure the lightest torque. Kyodo Japanese oil was used in the production of bearings. In-line skates are supplied without brake. 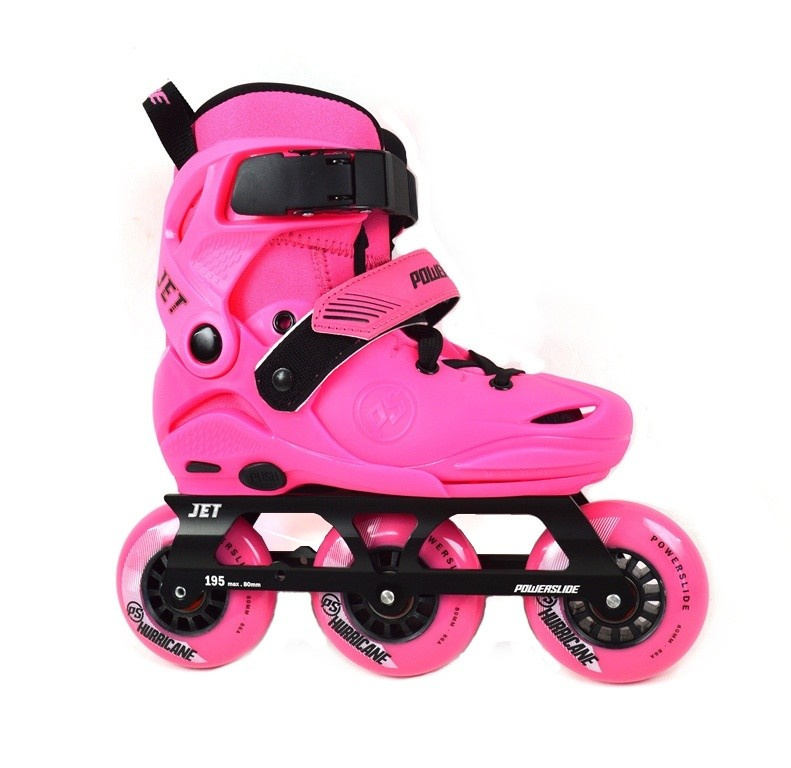 0 Review "Children&#39;s roller skates Powerslide Jet Neon Pink"